Cancer Research UK’s Race for Life is coming to Derry, Londonderry this year for the first time. Taking place at St. Columb’s Park on Sunday 16 September, Race for Life brings millions of women together to support life-saving research. Cancer Research UK’s Race for Life offer a series of women-only events to raise vital funds for research into all 200 types of cancer. So which event is for you? A 5k or 10k? You can choose to run, jog or walk your way around the course. Or why not, take on our Pretty Muddy obstacle course that sees women of all abilities crawl through tunnels, bounce on space hoppers and slip down mudslides. Just by signing up you’ll make a difference and we have an exclusive £5 off code for Q Radio listeners. So whichever event you choose, remember taking part is all that matters and you are helping to BEAT CANCER. 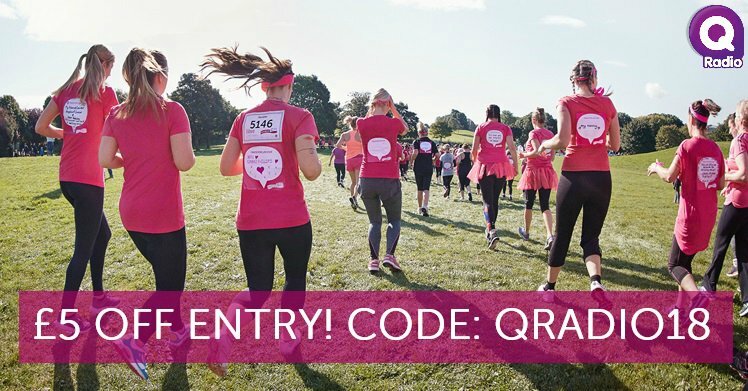 Sign up now at www.raceforlife.org and use the code QRADIO18 for £5 off.